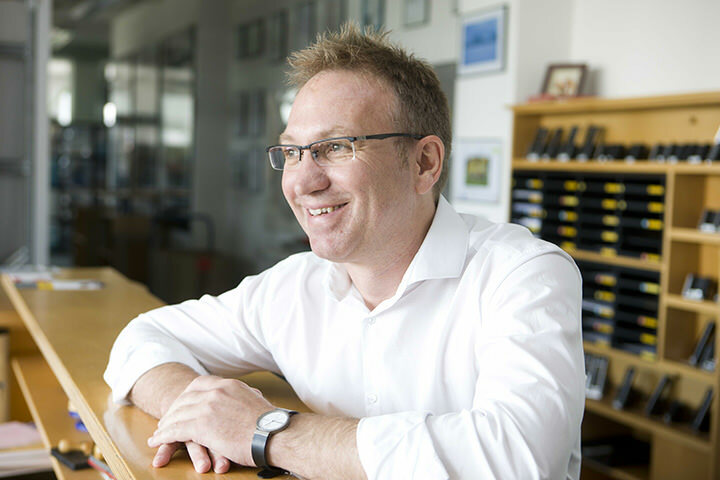 Thomas Auer, managing director of Transsolar, has been appointed as a professor for Building Technology and Climate Responsive Design, starting January 15th. Thomas studied process engineering at the University of Stuttgart. At the age of 48 he succeeds Prof. Dr.-Ing. Gerhard Hausladen. In both education and research, Thomas will focus on sophisticated design tools and strategies for climate responsive and energy efficient building design. To gain a comprehensive understanding of user comfort balanced with innovative design strategies research will be done on various scales, looking at form and material, building technology and passive design strategies, as well as strategies for districts and cities. Through his work at Transsolar Thomas gained international experience working on a variety of topics, which he will further research within the academic realm while also continuing his work at Transsolar as managing director. „I’m very excited about the opportunity to teach and research within the field of climate engineering without needing to give up the work I’ve been doing for the past 20 years “ commented Thomas about his appointment. „Working with students will keep us up to date and I’m excited to bring Transsolar’s experience to the university. I hope that my position will also provide a greater audience for our work and approach towards energy efficiency in order to increase our potential impact“. Thomas has been teaching for many years at various universities such as Yale University, New Haven, CT (USA), École Spéciale d’Architecture (ESA) in Paris (France), University of Sassari (Italy) and Ryerson University, Toronto (Canada).